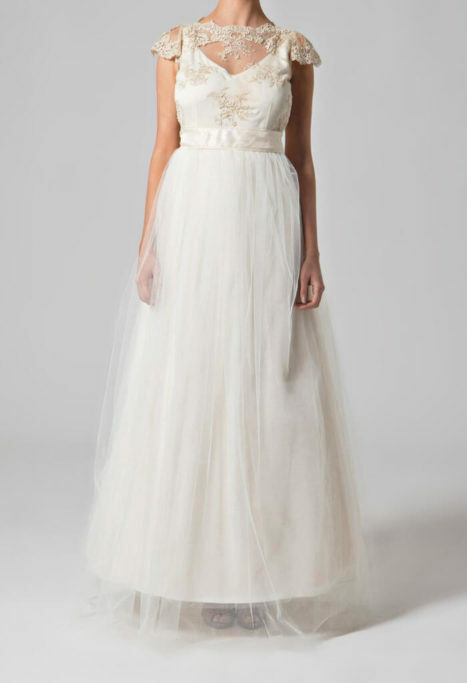 This beautiful wedding dress is truly romantic with lavish beaded lace bodice and soft tulle a – line skirt. A satin and organza ribbon complete the fairy tale look with fabulous detachable tulle train. 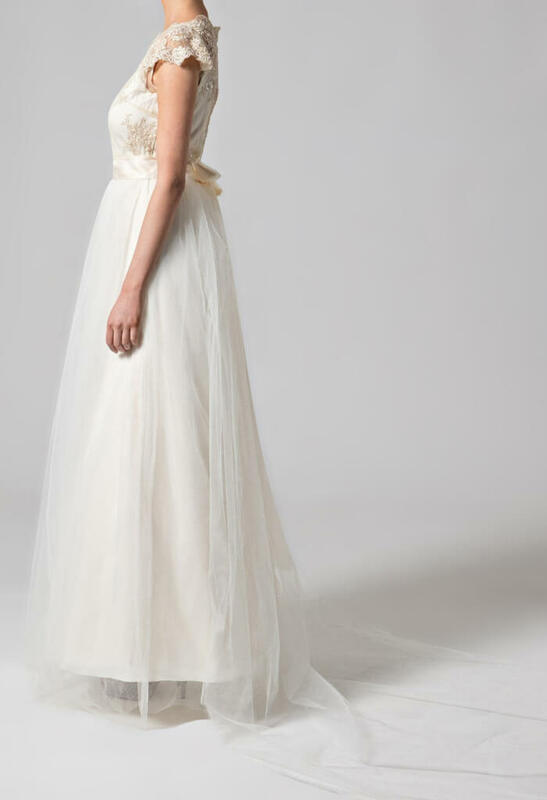 If you are looking for a fairy tale dress than Elise, a stunning cappuccino bridal gown is for you. 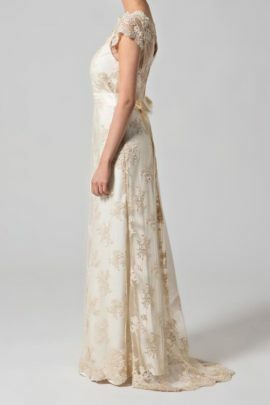 The antique gold hue creates a strong vintage vibe and is a very flattering colour for all skin tones. Heavily beaded embroidered flowers are stitched onto a delicate net and all lines are finished with a beautifully detailed and heavily embroidered scalloped edge. 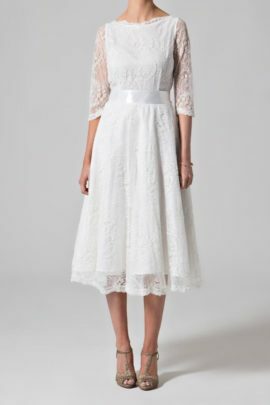 For the bodice a satin lining hugs the body perfectly with a dropped back covered by the sheer lace oozing elegance. 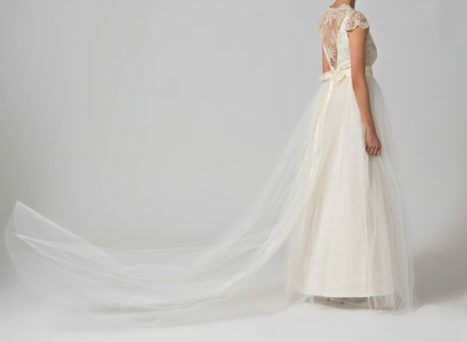 The a-line tulle skirt keeps its shape by a net petticoat. Shape is given with flare added at the hips providing a more flattering and easy to wear style than if added at the waist.